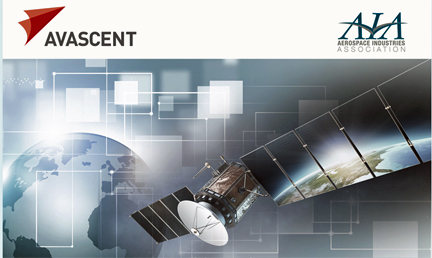 [SatNews] Just around the corner, the Aerospace Industries Association (AIA) and AVASCENT will be presenting their International Commercial Satellite Markets Webinar. Join the webinar's panel as all discuss commercial satellite industry trends—encompassing topics that will range from new entrants, new technologies and capabilities, export controls and changing strategic relationships—and impacts on US and global manufacturers. Avascent's Space and Satellite Practice advises space and satellite companies and government agencies around the world, helping them launch new ventures, grow in core and adjacent markets, develop innovative strategies and business models, and pursue successful mergers and acquisitions.